BROWS. If you don't have your brow routine down to a science, don't worry. 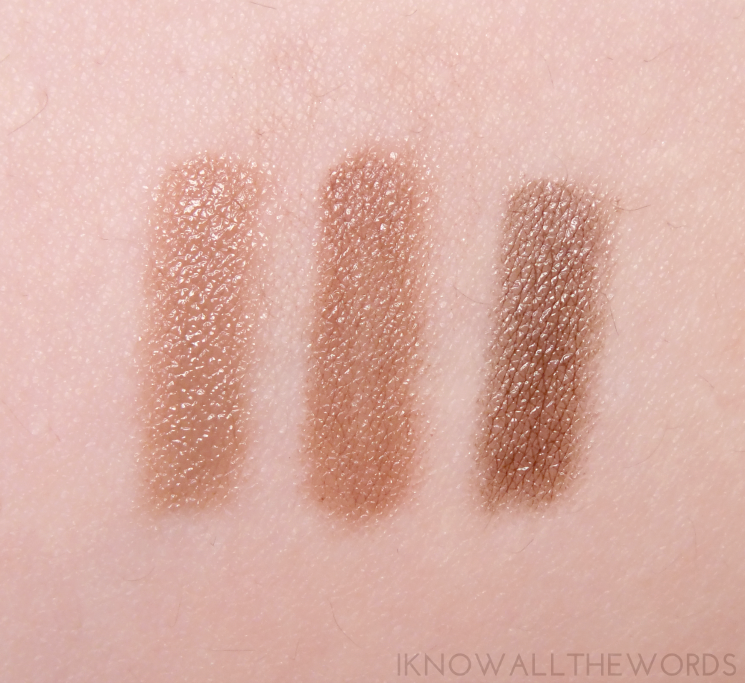 Everything brow seems to be popping up in recent launches as I have a ton of new brow beautifiers to test and review. 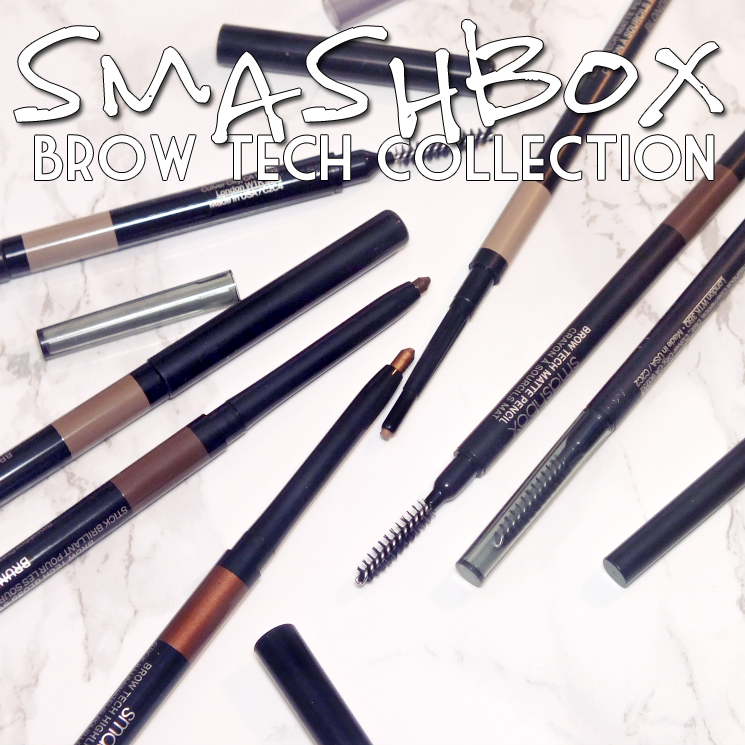 I thought today was a great day to start with the new Smashbox Brow Tech Collection. 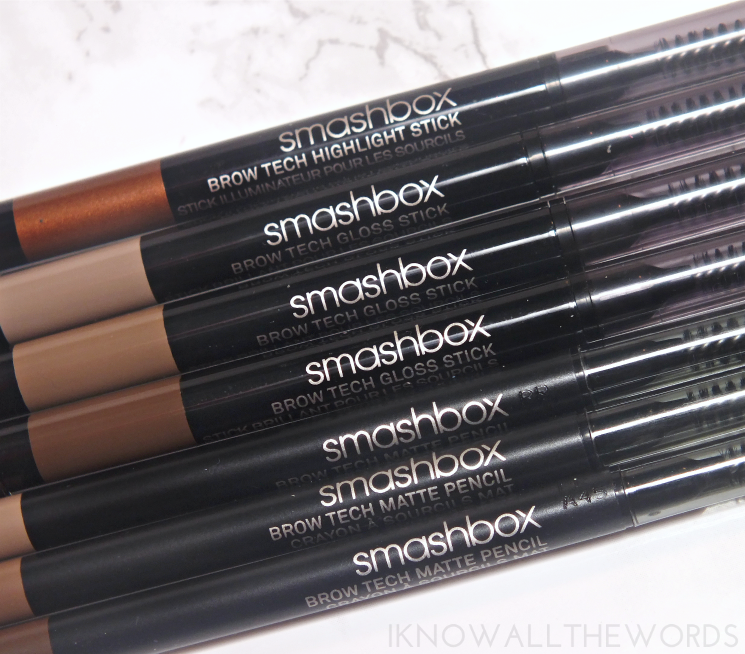 Smashbox has you covered with Brow Tech Matte Pencils, Gloss Sticks, and Highlight Sticks. There is something for every brow. Want a look? Read on! 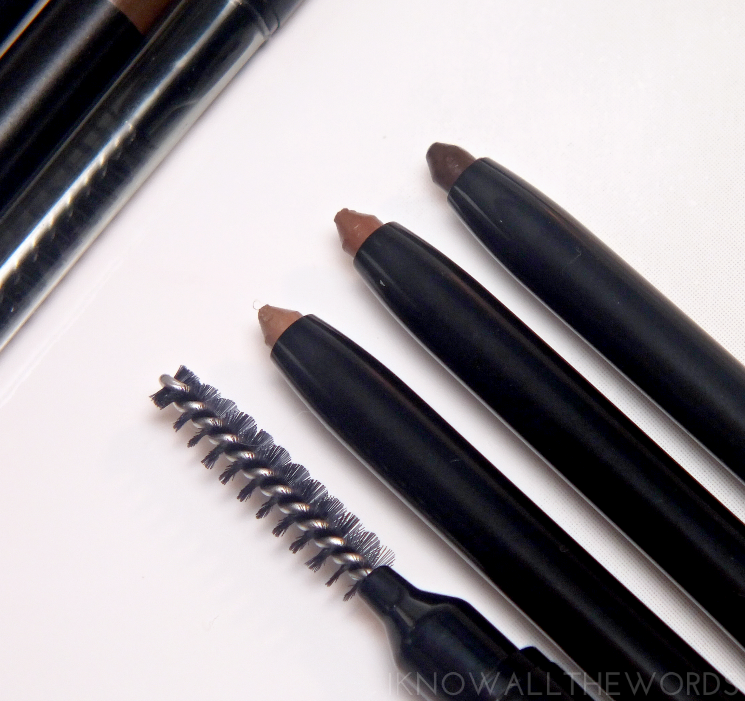 We'll start with the most basic of the new items, the Brow Tech Matte Pencils. 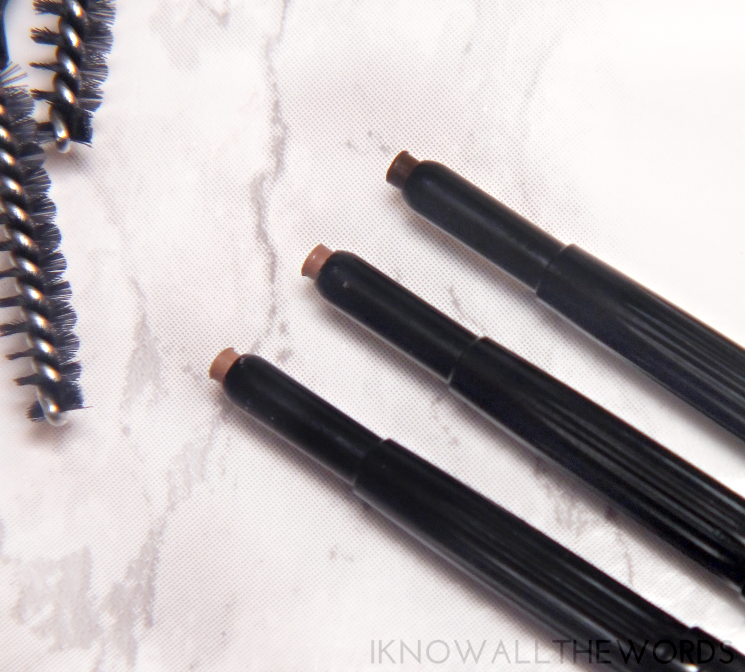 These slim pencils have a nicely pigmented formula that's not too waxy, but not overly creamy, that works to define brows and fill in sparse areas. The slim shape makes is so easy to fill in brows quickly and precisely and how can you not love the added spoolie. A note to other brands: EVERY brow pencil should have a spoolie. Continuing on... The formula is long-wearing and water-resistant. I found it wore all day with no smudging or general messiness. It's available in four shades- Blonde, Taupe, Brunette, and Dark Brown. I have light skin and naturally black brows. I often lighten them, but they are currently black, so I wasn't sure any of the shades I have would be deep enough for me. 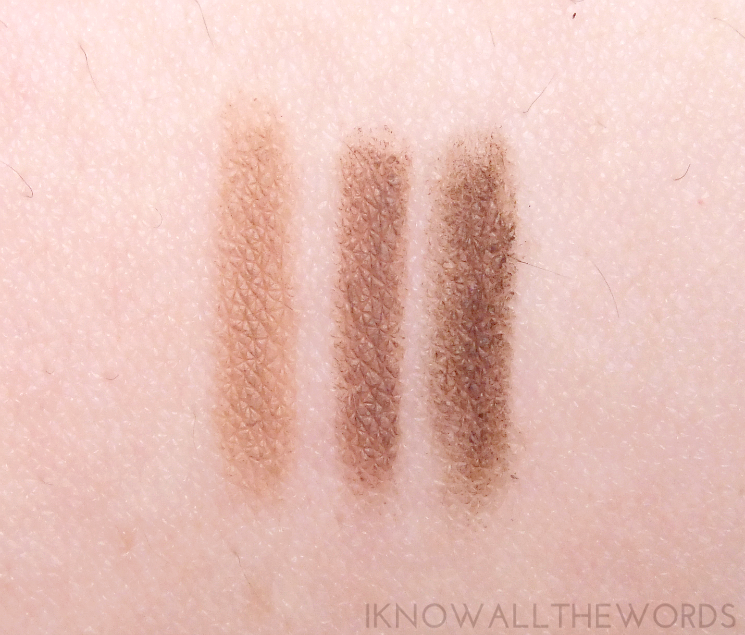 The Brunette shade swatches lighter than I expected, but works perfectly to fill in my brows. 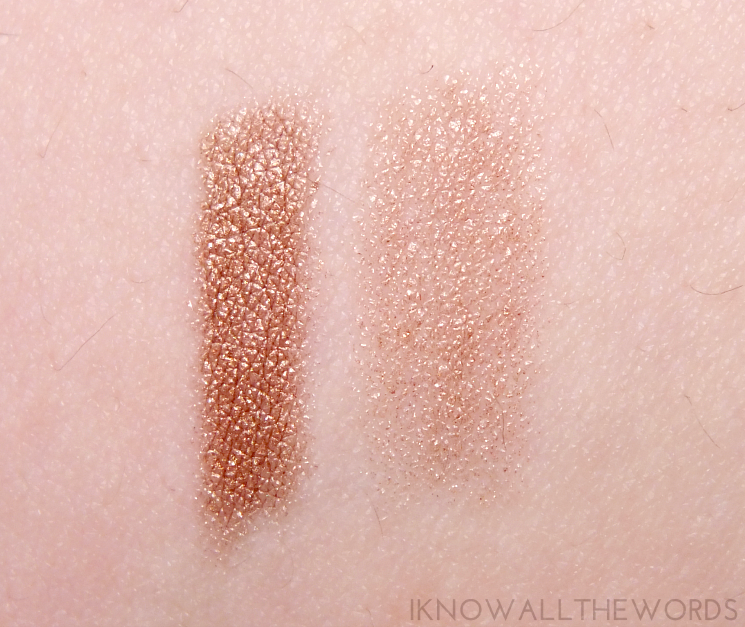 I am even able to use Taupe for a more neutral/natural look and will use it more when my brows are lightened. 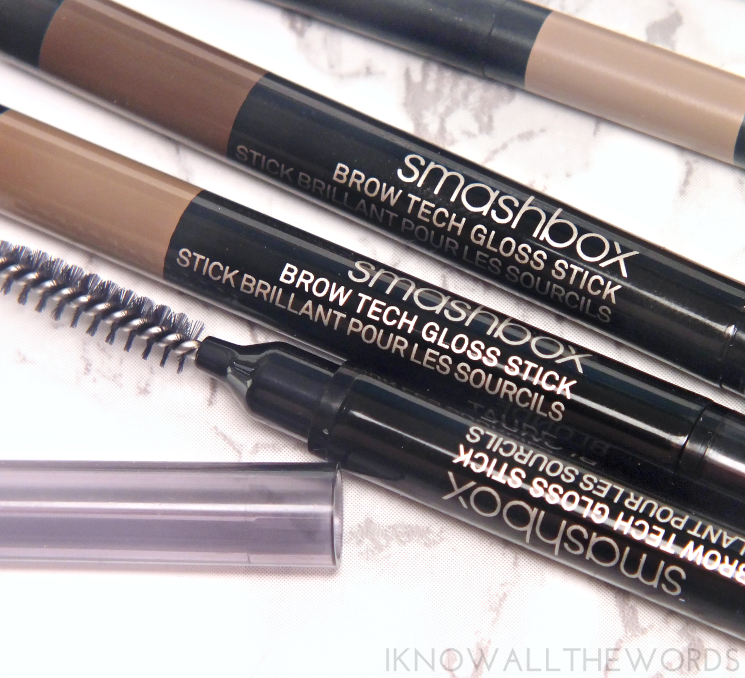 Now we enter new (and slightly uncomfortable) brow territory with Brow Tech Gloss Sticks. Yup, you read right Gloss Sticks. I really wasn't too sure what to expect with these, but what you get is a transparent, glossy product that gives brows a bit of tint and some shine. I've tried the Brunette Gloss Stick over the Brunette Matte Pencil and really don't know what to think of the effect. The look isn't too glossy (or greasy looking) and does gently hold brow hair in place, but I don't know that I need added brow sheen. The Gloss Sticks are available in the same shades as the Matte Pencils and also include our beloved spoolie. If you have naturally full brows, this is fine solo, but if you need a bit of filling, it's best to use something before the Gloss. Also, unlike the Matte Pencils, the Gloss doesn't wear quite as easily. It does stay on all day, but it does stay creamy and is easily smudged if you forget you're wearing it an touch/scratch it. 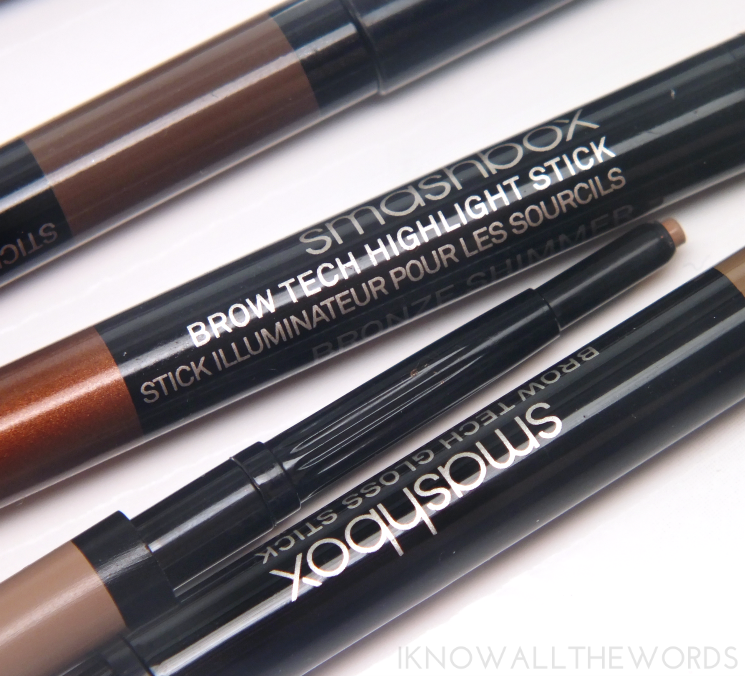 Wrapping up, another interesting brow product- Brow Tech Highlight Stick. Available in Gold Shimmer and Bronze Shimmer, the Highlight Stick give subtle colour and a hint of fine shimmer for a sunkissed look. I wasn't so sure I wanted to highlight my brows in quite that fashion (I initially thought this was meant to highlight around the brow) but I gave it a go. The effect is quite subtle on my dark brows, but I kind of like it. It gives a slight shimmer, but overall just brightens the area a bit. 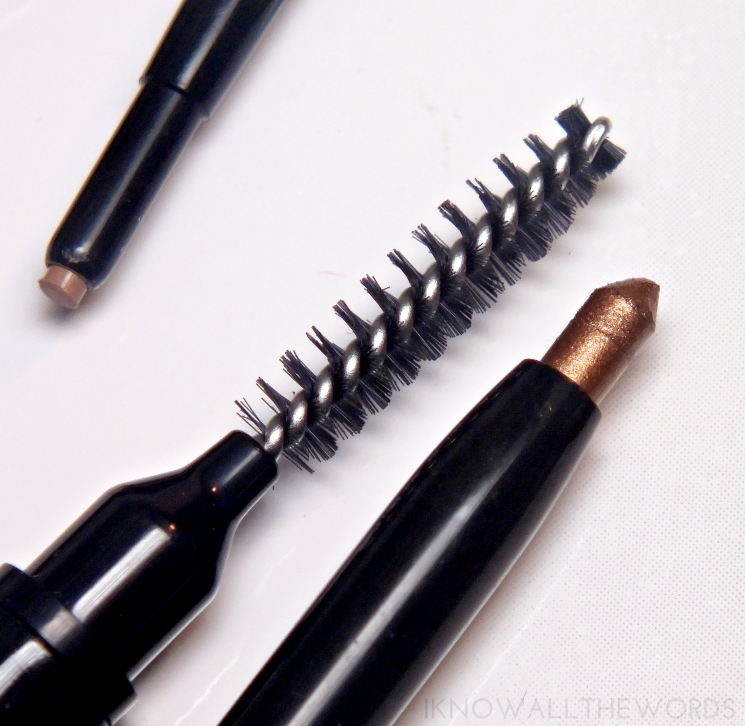 I don't think this is the most necessary brow product, but an interesting one if you're looking to shake things up a bit. 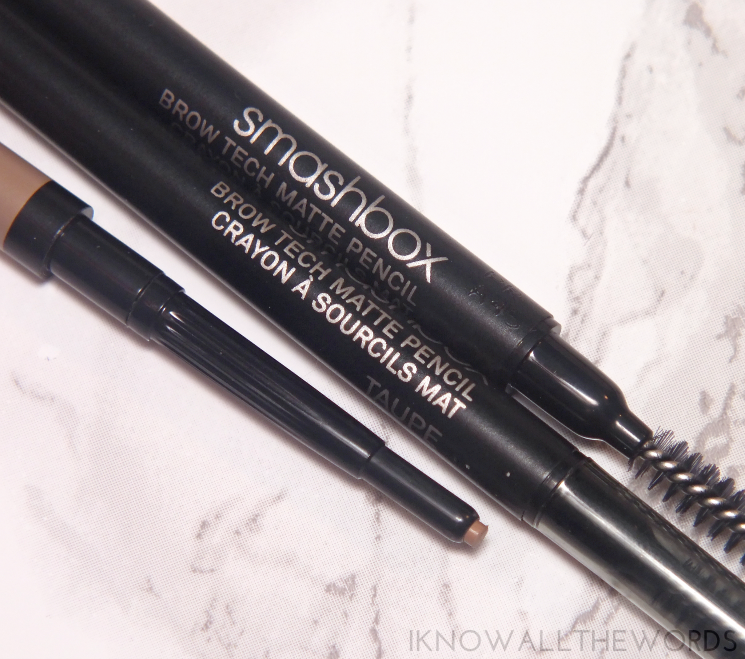 Overall, Smashbox does brows particularly well. I can see the Matte Pencil becoming a fast favourite and a part of my everyday routine... Actually, it already kind of is. Would you use any of these brow products? What is your favourite brow go-to?